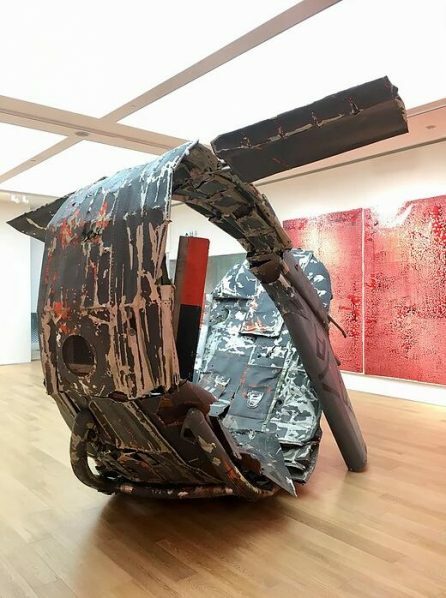 Tang Contemporary Art presents the first exhibition of Adel Abdessemed in Hong Kong, one of the most emblematic artists of his generation, with a new body of work, curated by the internationally known curator Jérôme Sans. In contrast to realism, the Forbidden Colours reflect our current world flooded with fake news. 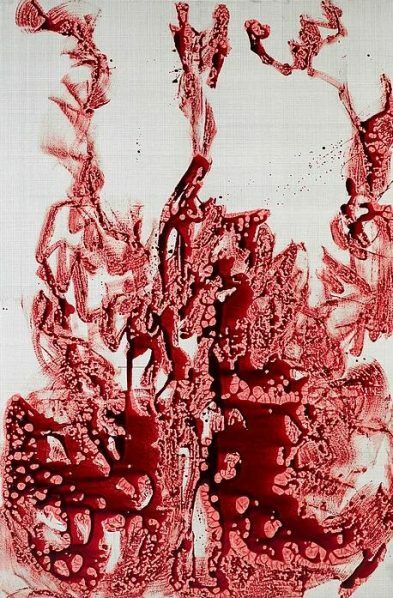 These abstract canvases play with the ambiguity of blood, even though they are painted with a liquid used in cinema to simulate wounds or death in a hyperrealistic way. Adel Abdessemed takes us into a world of simulation and illusion, in the age of manipulated images or photoshopped photographs that seem more real than reality itself. As vast frescoes of the history of our humanity, they witness the omnipresence and the instrumentalization of violence, which engenders nothing but passivity and habituation. The imperious violence of their course tells about the suffering and the difficulty of writing the world today. These paintings extend Jackson Pollock’s all-over technique, as each painting becomes a palimpsest of spills or dripping decomposed into successive layers of blood, just like the constant spill of violence that is spread out every day beyond all borders. 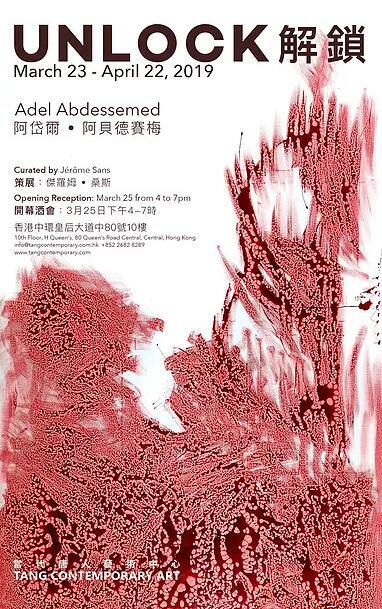 Courtesy of the artist and Tang Contemporary Art, for further information please visit www.tangcontemporary.com.